Fade in: A wheat field outside tiny Colfax in Eastern Washington. A young boy feels bored, so he goes to the movies. He finds the lives he is watching on the silver screen much more interesting than his. 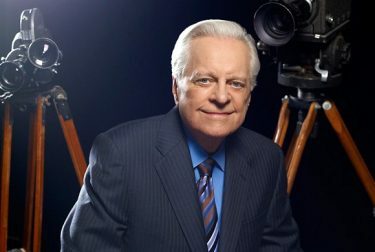 So began Robert Osborne’s path to stardom in Hollywood. The kid who went to Everett High School, played in the band, and joined Square Dance Club moved to Los Angeles to try his hand at acting. But good friend Lucille Ball suggested he pass on acting and focus instead on writing about movies. Osborne, ’54, joined the Hollywood Reporter, became a columnist and went on to host Turner Classic Movies. The dapper, silver-haired Osborne was known as the official biographer of the Academy Awards. “He was just like he was when you saw him on Turner Classic Movies—warm and compassionate, with a certain amount of seriousness,” recalls UW classmate Kay Larson, ’54. Fade out: Osborne died March 6 at the age of 84.